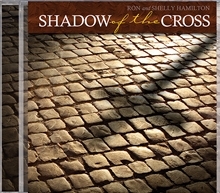 A choral book offered by Ron and Shelly Hamilton contains eleven exciting new arrangements for your choir. As an added bonus, this book also features "Lift Him Up," an original Easter musical with eight selections and only four actors in a reader's theater format. This collection contains a wide variety of songs appropriate for any time of year. From the tender anthem Beautiful Hands, describing the loving hands of Jesus as He gave His life on Calvary, to the new melodies of Search Me and Joyful, Joyful, your hearts will be stirred to love and serve God. A new mission-themed song, Through the Eyes of Christ, will inspire listeners to see the world as Christ sees the lost.